THERE ARE NO BAD TYPEFACES. There are badly used typefaces. Display typeface I am a display typeface. I grab your a+tention, set a mood and o8en represent a ce9ain s+yle or a+mosphere. I have very expre=ive le+ter shapes and should be set in large sizes. I work well for headlines and very sho9 text. In body text I am dis+racting and hard to read as you can see in this sho9 paragraph. glyphe Text typeface I am a text typeface. My specialty is that that there is nothing special about me (except for some typography nerds, maybe). I’m understated, get out of the way and let the words speak. I’m simply working because I have very distinctive letter shapes that form distinctive word shapes. This makes me easy to read and under these circumstances, it doesn’t matter if I’m a serif or a sans-serif. glyphe a re the letters distinctive enou g h? Abc Abc Abc Abc ! glyphe Text highlights work clearly better when the real fonts are used "
<html> id="nav" é ó à ì Double prime mark Angle Brackets "
Roll Peter's phone What´s up? glyphe Am I — maybe — a bit too much? I think-or I hope-this is right. I am – certainly – right. 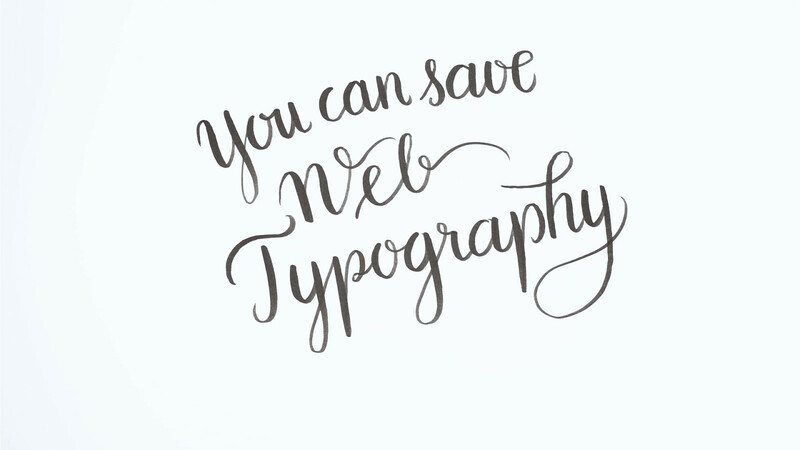 View You Can Save Web Typography on Notist. The web is written language — and it’s also a mess, because most sites don’t present text properly. Typography to the rescue! In this talk you will learn how to boost your next web project with good typography. Several examples and live demos will give you a basic understanding of type and how to apply it with CSS in responsive web design. It’s a talk for developers, designers and everyone in between. Together we can save the web’s typography — one paragraph at a time.